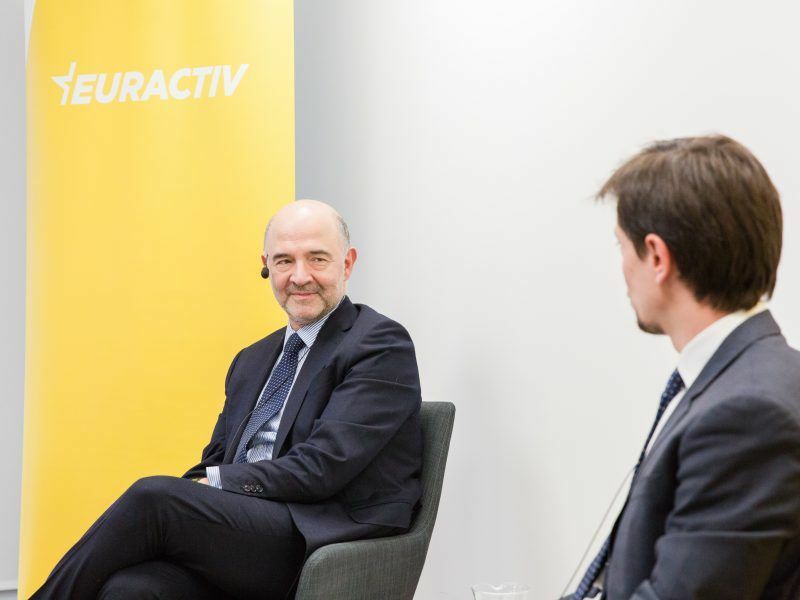 European Commissioner Pierre Moscovici joined EURACTIV’s Economy Editor Jorge Valero for a live debate on deepening the European Economic and Monetary Union in the EURACTIV Network office in Brussels. Moscovici is now focusing on leaving a strong legacy, prioritising the eurozone reform and tax issues. While he is keeping all his options open for after the European elections, he ruled out the possibility of retiring in spring next year. On deepening the EMU, Moscovici was more ambitious than the Commission’s position, as he stressed he would “certainly favour the creation of a true eurozone budget”. As for tax issues, he stressed that the cooperation with the OECD is fluid on the digital tax. He confirmed that his proposal on 21 March would include short-term measures to raise revenues from big Internet companies, as he is in contact with the capitals to come up with a consensual approach. And he was again very critical of the member states’ reluctance to reveal the commitments made by tax havens in order to exit the EU’s ‘blacklist’. The French commissioner was very clear on Greece, ruling out the need for a precautionary credit line after the country exits the bailout programme in the summer. “I will be very blunt: No, no, no. Nothing with Greece can look like a false programme.” He added that the debt relief that the Greek economy needs should be “significant”.